Les plages sauvages et préservés à l'océan Atlantique sont étonnants . Casaflor est une maison bien équipée avec un court de tennis privé et avec piscine . Avantages dans les environs sont : l'océan Atlantique avec ses plages , terrains de golf , une route des vins , beaucoup de patrimoine culturel , possibilité pour une excursion à Lisbonne, Cascais , Sintra , Coimbra. Parking sur un terrain privé. Beaucoup de vaisselle et de verrerie. The kitchen was very lovely , we cooked every day and enjoyed everything was working, the equipment in the kitchen were in very good quality. Pool area perfect and tennis court great. Thank you! It is a pleasure to hear you enjoyed your holidays! Luxuriously well equipped, and so much space! One of the most comfortable and well-equipped holiday houses we have ever stayed in. It was a pleasure to cook in the kitchen, and with inside and 2 outside eating areas we were spoiled for choice. 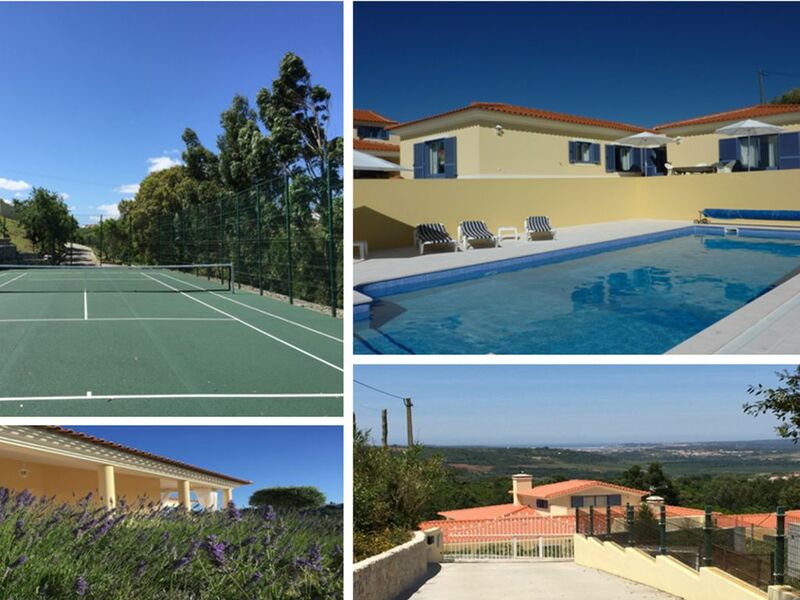 A lovely big pool and wonderful tennis court, with racquets and balls helpfully provided, made it a lovely place to stay in, as well as a good base for exploring Obidos and the area around. Our only caveat would be that you can hear the motorway in the valley, but it did also make it very easy to travel about. Great to hear you enjoyed your holiday so much!